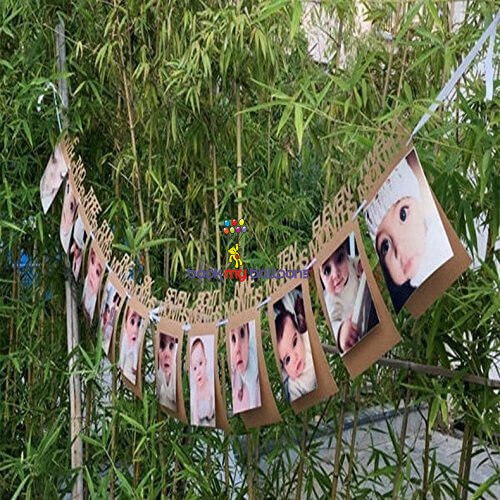 First Birthday Photo Banner, 1st Birthday First Year Banner, 12 Month Banner, Monthly Photo Banner, Picture Banner, 1st-year banner. 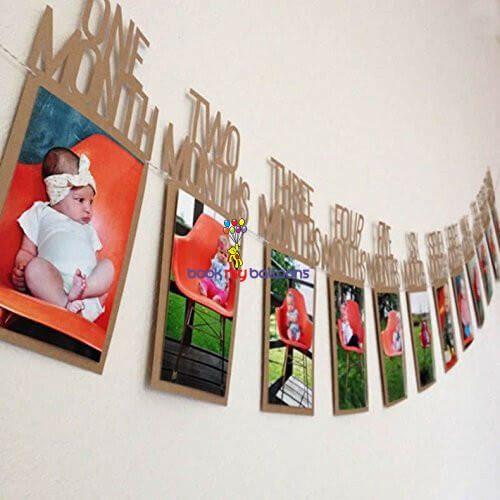 This first birthday photo banner is the perfect way to show how your little bundle of joy has grown over the last year! This 1st birthday banner would add that special touch to your little girl’s 1st birthday party. This banner would also make a perfect and unique baby shower gift for someone! 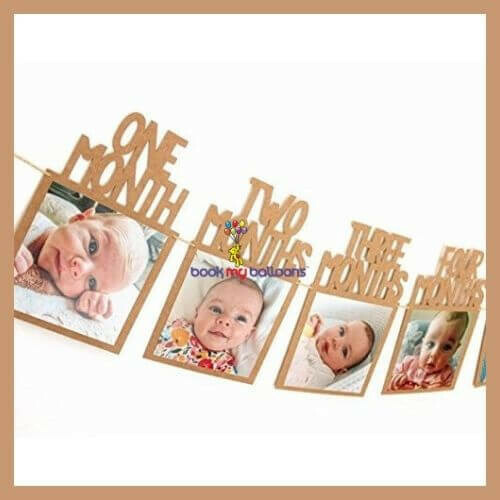 The 12-month picture banner consists of 12 banner cards, one for each month of your child’s first year. 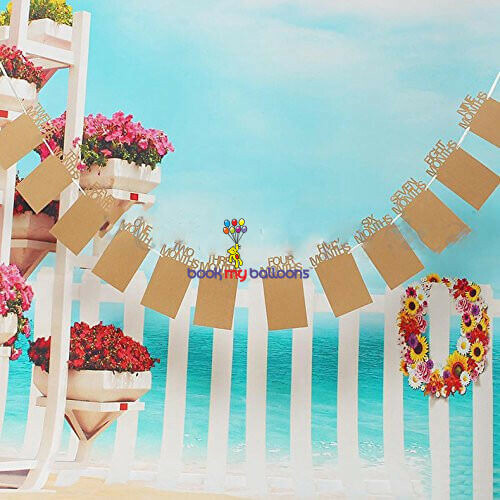 Each pennant will measure 7.25″ (H) x 5″ (W) The banner comes fully assembled, and all you have to do is add your pictures and hang the banner on a wall using a little scotch tape. NOTE – Minimum billing should be Rs 1200 and above for delivery.